FLOWERSBLOOMS by "Elvie": A Get Well Plant and Get Well Wishes ! 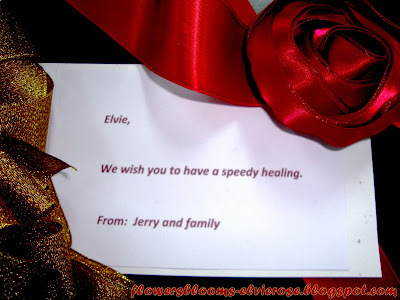 Our EHS Director, Mr. Jerry Collins sent me a beautiful flowering plant with a Get Well Wish Card. Since my stepmom loves plants and gardening, I seem to recognize what kind of plant was given to me. It is a "Bromeliad" specifically "Pink Aechmea Bromeliad and I love it. My stepmom will definitely love it as well ! This will be an addition to her garden collection. 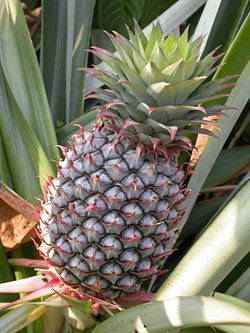 Do you know that the pineapple belongs to the bromeliad family ? 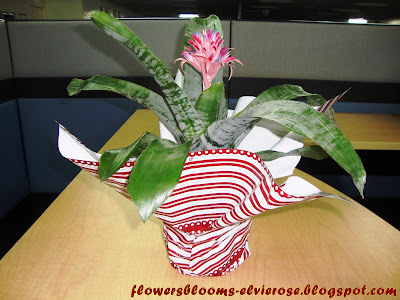 Aechmea is a type of bromeliads. Its name comes from the Greek word aichme, which means "spearhead" or "point". In their native habitat, Aechmea are mostly epiphytes, plants that grows on top of or is supported by another plant but does not depend on it for nutrition. The leaves of the Aechmea Bromeliad have leathery variegated leaves. The leaves have spines around the edge. The leaves overlap each other and originate from the base of the plant forming a long tube and can grow up to twelve inches long. From the center of the tube the flower will emerge and bloom. 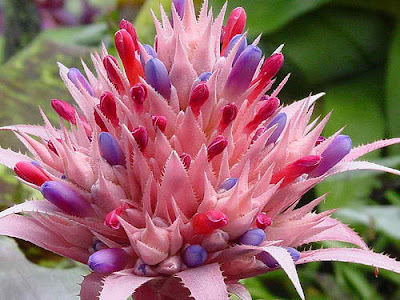 The Aechmea Bromeliad plant has the nickname of urn or living vase came about because it appears to have a vase that holds water for the flower. The flowers can be scarlet red and blue and also red, yellow, and black. There are Aechmea Bromeliad plants that have pink flower heads with blue blooms. The rosettes of the Aechmea, like most bromeliads, will die after they have flowered, allowing young plants to develop at the base of the dying parent. These plantlets can be broken off for propagation. Aechmea fulgens and Aechmea miniata have fairly thin foliage while Aechmea fasciata has stiff, hard leaves. 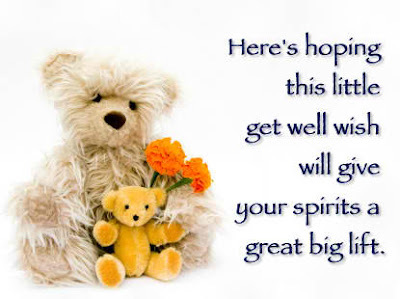 To all those who sent me their "Get Well Soon" wishes, thank you for your love and concern. I really appreciate it ! Thank you for all your support during the Operations Staff Meeting. I'm really sorry that you got injured during the Laser Tag and hope you are doing better. Best wishes from the Ops Team and we hope you have a speedy recovery. Subject: How are you doing? Are you back to work already? I hope you are doing well ! You shocked me when I came around the corner and saw you there at the Laser tag area. Let me know if I can do anything for you to help out. I hope you are feeling better. My prayers are with you for quick and complete healing. Sorry to hear about your injury. Hope you are recovering well. I’m so sorry to learn what happened to you yesterday. I hope the wound heals fast and that you didn’t get traumatized so much by the accident. Thank you for organizing the activity yesterday.